Very flexible and accurate for tailoring a doublebass’ s sound!Extremely handy concerning the options that provides! 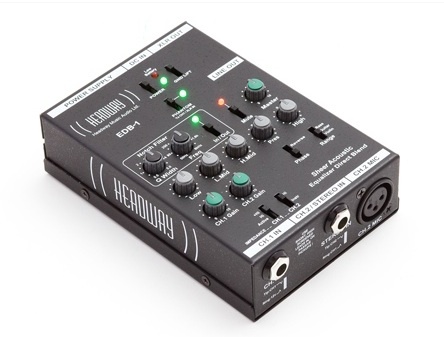 !Only downside not enough phantom power for a condenser microphone!Otherwise, EXCELLENT!!! The Audio Technica ATM 350 mic is an excellent near mic with a goose neck (attachable to the bass, but better: on a small mic stand in front of the bass). 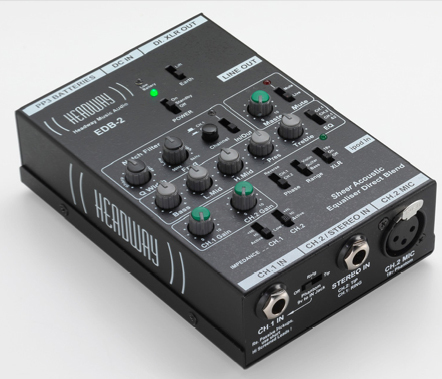 In different on stage performances and in the studio it’s a very easy to EQ mic, for both pizz and arco. 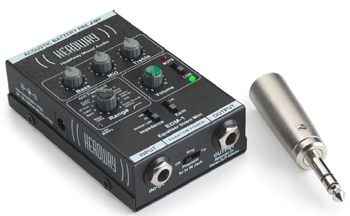 This mic needs a Phantom Power: 11-52 volts … the Headway has a 18 volts Phatom supply. So this could be a match?